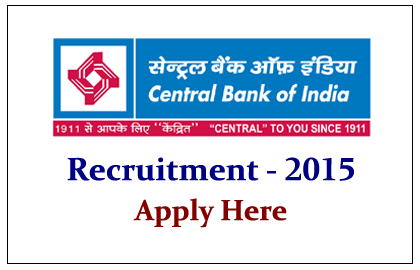 Central Bank of India has announced the recruitment notification for the post of Counselor, Faculty and Office Assistant. Eligible Candidates can apply for this post before 14.03.2015. Graduate of Post Graduate degree in recognized university. Eligible Candidates can apply for this post by sending their application in the given format which you can download in the below link, and send it to the below mentioned address, superscribing, “Application for the post of Recruitment as Incharge/ Counselor of FLCC/Faculty/Office Assistant on contract”. Your Application should reach the above address on or before 14.03.2015.